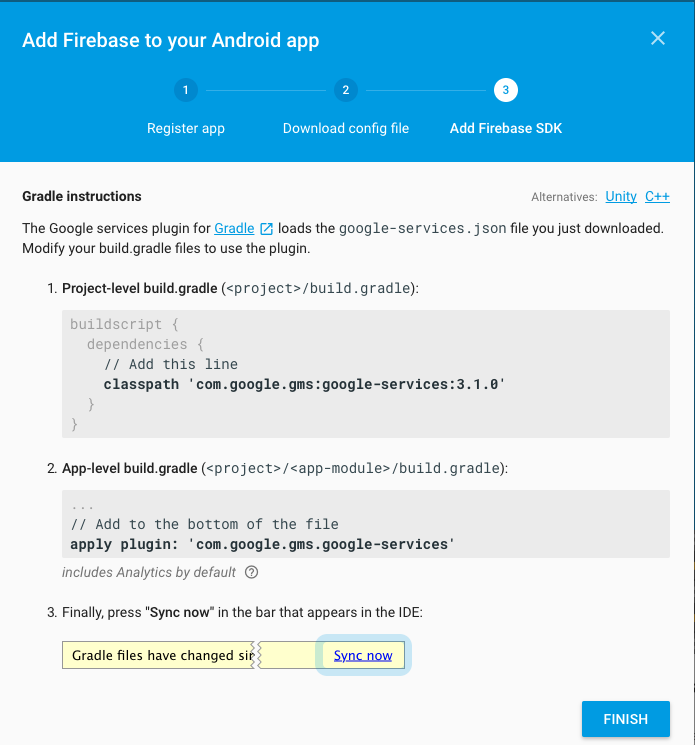 Create a Firebase project within the Firebase Console. 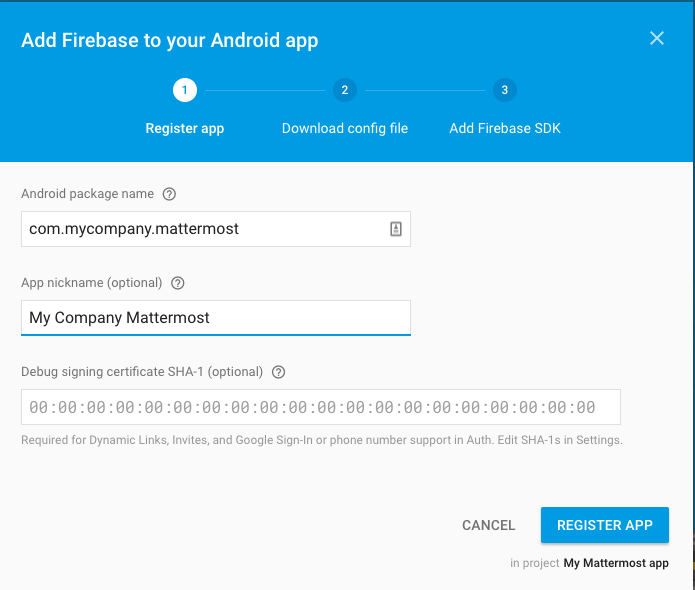 Enter the package ID of your custom Mattermost app as the Android package name. 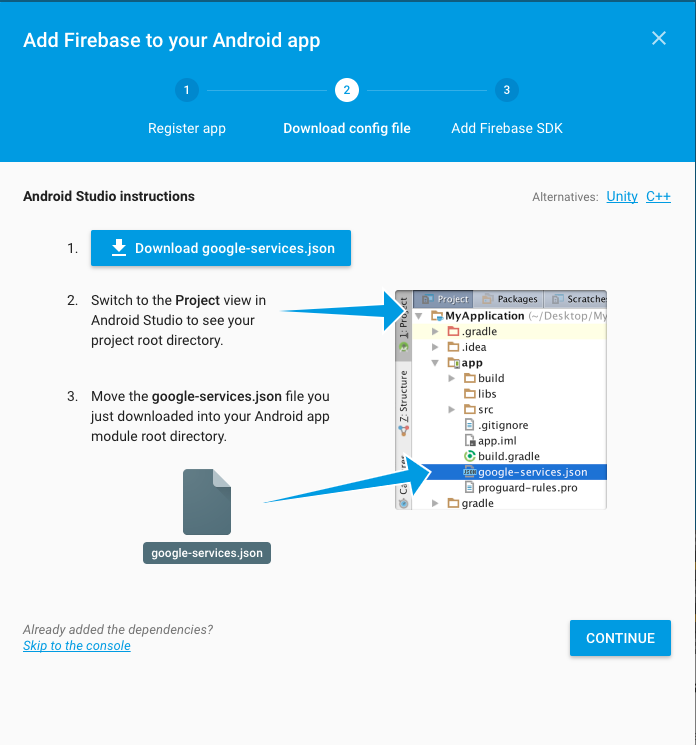 Now that you have created the Firebase project and the app and downloaded the google-services.json file, you need to make some changes in the project. 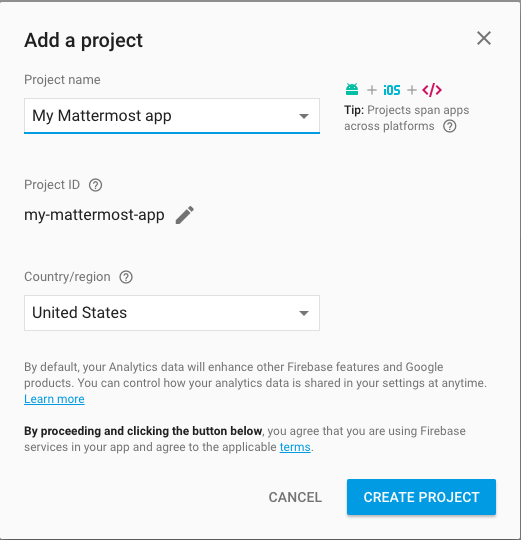 At this point, you can build the Mattermost app for Android and setup the Mattermost Push Notification Service. © Mattermost, Inc. All Rights Reserved.